The SHIELD platform has proven to be a popular choice for publishers and developers because it offers a potent combination of power and compatibility. Boasting a 256-core GPU, 3 GB of RAM, and NVIDIA's most advanced mobile processor built to date, Tegra X1, SHIELD TV allows developers to build incredible experiences and port existing titles without sacrificing quality. It’s these two factors that convinced tinyBuild to begin offering games on the SHIELD platform. Two of its most popular titles, Clustertruck and The Final Station, are now available to download on SHIELD TV for $14.99 each, and promise to deliver the kind of unforgettable gaming experiences that the company has become synonymous with. Despite its name, tinyBuild isn’t going small for its SHIELD TV debut: both Clustertruck and The Final Station are huge in every way possible, full of action and content that offers hours of entertainment. The first title, Clustertruck, requires players to hop along the top of speeding trucks through a series of fast-paced levels until they reach the finish line. While the premise may sound simple, the game will definitely keep players coming back for more due to its high degree of variability. 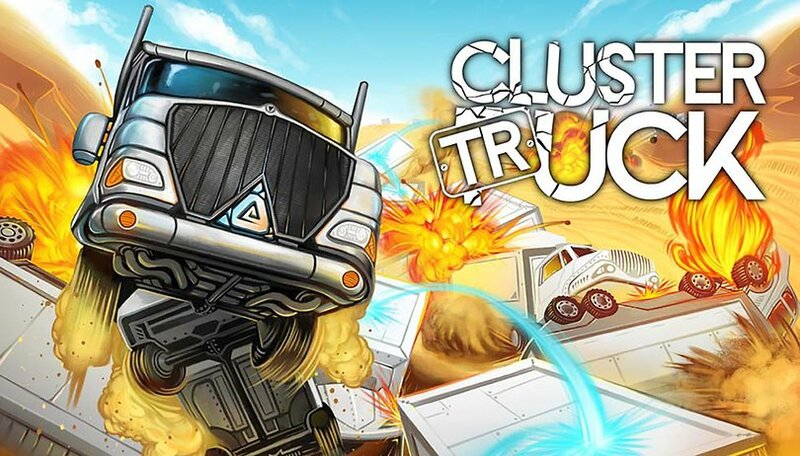 "Clustertruck is level-based, but it’s still a non-linear game because you have so many physics flying around,” Alex Nichiporchik, tinyBuild’s co-founder and CEO explains. “Things will always be different every time you play the game, so if you play the same level multiple times, you’ll get different content which makes it a lot of fun." The second title, The Final Station, offers a more relaxed pace, but it still makes an impression due to its strong story and haunting atmosphere. The game requires you to drive a train through a world that’s been ruined by a zombie apocalypse. You’ll scavenge for supplies, fight off monsters and rescue survivors as you race to the thrilling conclusion. The Final Station has a lot going for it, but its pixelated style definitely stands out. In fact, it’s what first drew tinyBuild to the project. "When the developer pitched it to us, what made me super interested in it was just a GIF,” Nichiporchik says. “It was a really cool GIF of a train traveling through a world that is not really doing that well, and just the pixelization, the style, the colors—it just blew me away." Both games are obviously quality titles, but porting games to a new platform can sometimes prove challenging. So, were there any issues that might have diminished the quality of Clustertruck or The Final Station? According to Nichiporchik, developing titles on the SHIELD platform was as smooth as can be. With the technical aspects conquered, the company was able to focus on providing the best gaming experience possible. This desire also ties into the decision to release Clustertruck and The Final Station together: they may seem like an odd pairing, as the former is a hyper quick arcade experience and the latter is a meditative adventure that touches on heavy concepts, but the stark contrast is something the company wanted to offer. We really want to see how a game like [The Final Station] does versus the complete opposite, which is the complete chaos of Clustertruck,” Nichiporchik says. He also wanted to ensure that they reached as wide an audience as possible, adding that they wanted “to try two games that are really different in terms of appeal to different target audiences. tinyBuild is still a small company relative to some of the established entities in the gaming industry, but there’s no denying that it has made some huge waves already. It has a portfolio of hits under its belt as well as several other hotly anticipated games in its pipeline. All in all, it’s been a successful path for a company with humble beginnings. tinyBuild started in the Netherlands when I was living there about six years ago,” Nichiporchik says. “And it essentially started with me working on Flash games. Thanks to a slew of quality games, the company was able to rapidly grow and help other developers get its titles to market. Considering its desire to expand its reach, it only makes sense that it would bring titles like Clustertruck and The Final Station to the burgeoning SHIELD platform. Regarding the move, Nichiporchik had this to say: “I’m really excited about incorporating the NVIDIA SHIELD TV into our porting process at tinyBuild.” Considering the quality of tinyBuild’s work, SHIELD gamers have plenty of reasons to be excited as well. Offering a bevy of features and the power of NVIDIA’s Tegra X1 mobile processor, the SHIELD TV is a versatile device lets you stream hit movies, top TV shows, and quality games like Clustertruck and The Final Station. Go here to learn more about SHIELD TV and how it can kick your gaming into overdrive.